Avoid mixing with alcohol or other solvents. Suitable for regular brush and airbrush use. Suitable for Plastic, brass, resin, etc. 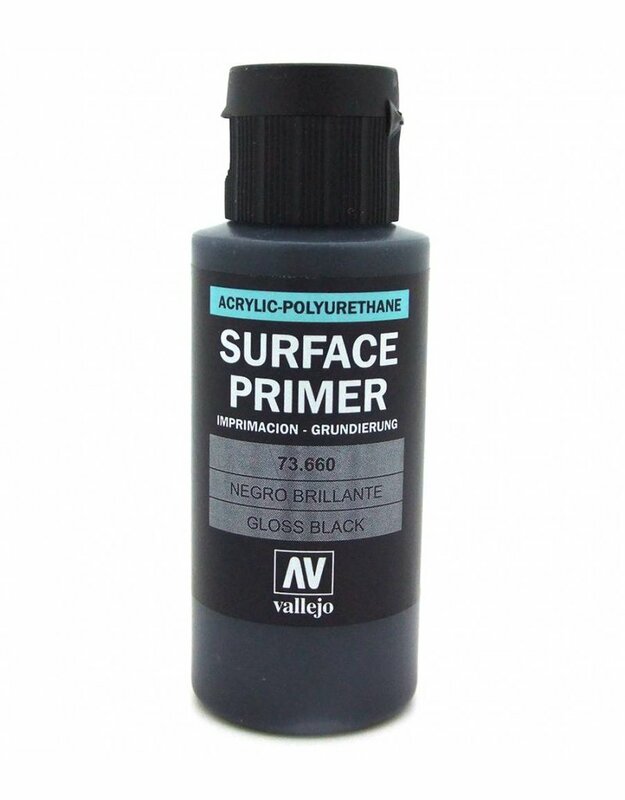 Vallejo Surface primer is a polyurethane based acrylic, that dries to a strong matte finish. It can be used as-is or mixed with Mediums or varnishes.